4th Annual Welcome Back Picnic is almost here! Our annual Back to School picnic is coming! What better way to ring in a new school year than our annual Back To School Picnic! Bring a blanket, a dish to share and come meet and greet old friends, new friends and your new classroom teachers! 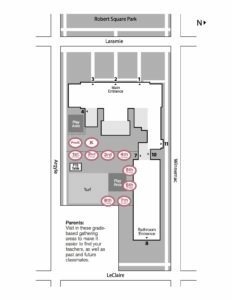 Stop by the PTO table and sign up for the PTO, volunteer spots and purchase Beaubien Gear! ***Food trucks will be available for anyone who would like to purchase dinner. 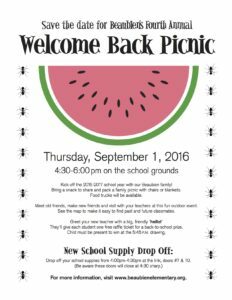 The Back to School Picnic is Thursday, September 1 from 4:30pm – 6:00pm. Hope to see you there!